Coming in September. PRE-ORDER your copy now! Ireland had a foreign policy and a diplomatic service before there was an internationally recognised independent Irish state. The origins of the modern Department of Foreign Affairs and Trade lie in the Ministry of Foreign Affairs established as one of the first four government departments of the first Dáil in January 1919. 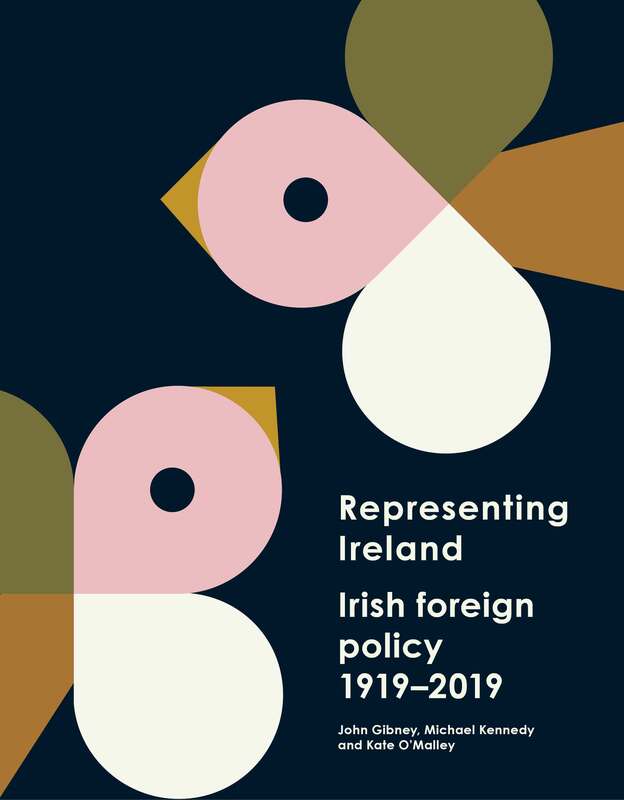 This richly illustrated book is a history of Irish foreign policy, rather than an institutional history of the Department of Foreign Affairs and Trade itself (though the two obviously go hand in hand). It explores how a small state such as Ireland has related to the wider world, by examining how Irish diplomats and politicians responded to the challenges presented by the upheavals of the twentieth century and how this small European state engaged with the world, from the Versailles peace conference of 1919 to the globalisation of the twenty-first century. John Gibney received his doctorate from Trinity College Dublin and is DFAT 100 Project Coordinator with the Royal Irish Academy’s Documents on Irish Foreign Policy series. He has lectured at Trinity College Dublin and University College Dublin and has been a research fellow at the University of Notre Dame and NUI Galway. He has written widely on early modern and modern Irish history, and his books include A Short History of Ireland, 1500–2000 (Yale University Press, 2018). Michael Kennedy is the Executive Editor of the Documents on Irish Foreign Policy series. Previously, he lectured in Modern and Irish History at Queen's University Belfast. He received his PhD from University College Dublin in 1994. He is co-editor of Documents on Irish Foreign Policy, volumes I to IX. Dr Kennedy is the author and editor of a wide range of books and articles on Irish diplomatic and military history. He is a member of the Irish Manuscripts Commission, a Research Associate of the Centre for Contemporary Irish History, Trinity College, Dublin and a Visiting Professor at Liverpool Hope University. He was formerly an adjunct Professor of History at University College Dublin. He is a regular commentator on radio and television on modern history and current affairs. Kate O'Malley is a graduate of Trinity College, Dublin where she received both her BA and PhD. She is an Editor of the Documents on Irish Foreign Policy series. She has also taught at University College, Dublin and at Queen’s University, Belfast. She is Secretary of the Royal Irish Academy’s International Affairs Committee and a Research Associate of the Centre for Contemporary Irish History, TCD. Her research interests are Irish diplomatic and political history, twentieth century Indian history, British imperial and Commonwealth history, British decolonisation, intelligence history and transnational history.